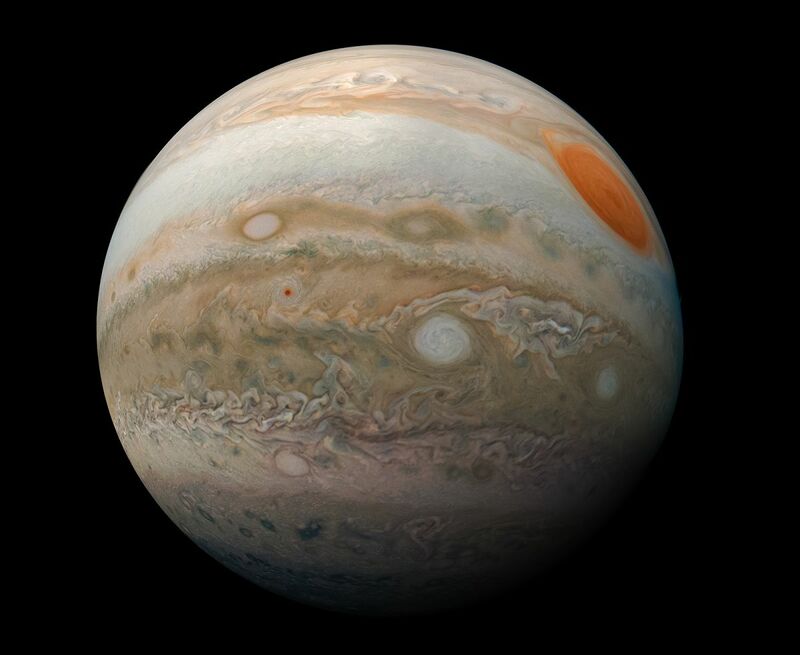 You've never seen Jupiter look like this. This image is a composite of just three photographs snapped by NASA's Juno spacecraft, which has been orbiting the gas giant for nearly three years. The photographs used to construct this image were taken on Feb. 12 between 12:59 p.m. EST and 1:39 p.m. EST (1759 and 1839 GMT), during the spacecraft's 17th science "perijove," the maneuver that pulls Juno close to Jupiter in its off-center orbit. At the time it took the photographs, Juno was between 16,700 miles and 59,300 miles (26,900 and 95,400 kilometers) away from the cloud tops that make up Jupiter's apparent surface and are so striking in this image.